Are you bollywood movie lover? you should know Suriya well, don’t you? 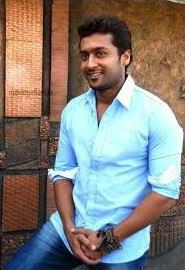 Suriya is famous South Indian actor. since began his career at 1997, he had starred many movies. Even, he won many award of his movies. Just to know, he won best actor for his movies “Nandha” in 2002, “Perazhagan” in 2004, and “Vaaranam Aariyan” in 2008 at Tamil Nadu State Film Award and Film Fare Awards South. And of course, many more award that he got from other competitions and categories. The Actor who was born at July, 23rd 1975 as Sarayanan Sivakumar doesn’t able acting only. The husband of actress Jyothika Sadanah also care in humanity. Noted, since 2008 he began Agaram foundation. The Foundation which works providing opportunities to inland society. There for, the society will have chance to get quality education for them. Even, he join with The Minister of Education in Tamil Nadu maked a short film ” Herova?Zerova?. The film told about child poverty, labor and lack of education. This film Starred by his wife Jyothika and also written and produced by Sivakumar. Not only that, The father’s of Diya and Dev also active in “REACH” a non – profit organization to support supervised medication program for TB patient. He also active in ” Save The Tiger ” campaign to vote protection and preservation tiger in India.